Rather that truthfully teaching students that the genetic makeup of Europeans, before diversity was imposed a few decades ago, remained very stable for most of their history, with next to zero genetic additions from Africans and Asians, they are indoctrinating them to believe that African/Asian-looking peoples were the original migrant-inhabitants of Europe. They are saying that Europeans were not indigenous to Europe, that this continent was the creation of waves of immigrants from outside Europe. They are extending the same false argument they have been making about the settler nations of America, Canada, and Australia — “Nations of Immigrants” — to all White nations. Yet, this argument does not even hold for these settler nations. As I argued in my best-selling book, Canada in Decay: Mass Immigration, Diversity and the Ethnocide of Euro-Canadians (2017), Canada was not a nation of immigrants but a nation built from the ground up by settlers and indigenous Quebecois, Acadians, and Anglo Loyalists. The same goes for America, Australia, and New Zealand; they were founded by White settlers who created a uniquely indigenous culture in these homelands. Let it be said that these arguments are not being made by world historians alone, or by typically crazed academics in some half-baked field — what we now identify as “Grievance Studies.” What is so disconcerting, as I argued in “Deceptive Use of Scientific Data to Promote Ethnocide of Europeans,” is that academics in the natural sciences, population geneticists, archaeologists, paleogeneticists, and evolutionary biologists, are deceptively interpreting their otherwise objectively gathered findings (that there were intra-European migratory movements thousands of years ago) as if these movements consisted of non-Whites from Asia and Africa. They are arguing that these movements are a demonstration that there is no such thing as a uniquely German, a uniquely Norwegian, Polish, Swedish, or British people, because « all Europeans are already a mishmash of repeated ancient migrations » from non-European lands. But this is not true; what has been really documented is that there was some degree of intra-European racial mixing over the course of many centuries of migrations and invasions. It has also been documented that there was a “massive migratory movement” from the “Pontic-Steppes”, but these migrants were none other than the Indo-Europeans, once known as “Aryans”, and they did not come from “Asia” since the Pontic Steppes are part of the continent of Europe, and these migrants were White. The only migrants who came from outside Europe were the Anatolian farmers who started colonizing southern Europe about 8800 years ago, who did have considerable genetic impact on Spain, Italy, and Greece. One may ask, why are scientists making these arguments? Because we are not dealing only with “historical revisionists” guided by leftist ideologies, as I thought in Uniqueness of Western Civilization. Jordan Peterson, Ben Shapiro, Gad Saad and other Nouveau riche conservatives, think that the problems facing the West are strictly ideological, too many postmodernists and liberals in the media and universities. But, if I may use a Marxist term, these ideologies are “superstructural” phenomena that (on their own) barely illuminate what is truly downgrading European civilization forever: immigrant diversification. Diversity through mass immigration has become a religion in the West, promoted at every level, from primary schools through to universities, by all establishment political parties, churches, the Pope, banks, corporations, every major media outlet. You can’t dissent from this orthodoxy. This is the context in which to understand why scientists are now participants in this program and why “the European civilization of the White man” is being systematically downsized. Although in Uniqueness and Faustian Man I brought attention to the masculine character of IE society and the agonistic ethos of aristocrats, I did not connect in a substantial way the purely male component of this agonistic drive and how this drive was heightened in IE aristocratic society, providing the preconditions for the discovery of the self and the emergence of self-consciousness. With all the current talk about « neo-masculinity, » I have been thinking that the greater male disposition for aggression and contest, to demonstrate one’s worthiness as a man through fighting against male adversaries, facing the dangers in one’s environment in struggle against the fear of death, should be seen in light of the peculiar aristocratic ethos of IEs. Here I will draw attention to Walter J. Ong’s book, Fighting for Life: Contest, Sexuality, and Consciousness, published in 1981. What makes this book directly relevant to my arguments is that Ong (who is well known for his argument that the transition from orality to literacy changed human consciousness) believes that it was the male struggle for recognition, as a male among other males, that fostered the mental introspection and interiority that is required for a concept of the self to become a possibility in a world in which all living beings are otherwise fixated and consumed by the world outside themselves and by their own bodily appetites. Much of this book is about how men and women are crucially different in their agonistic behavior and about how males developed an identity apart from their surroundings, a consciousness of themselves as beings with their own goals and personal identity, because of their absolute need to set themselves against their early boyhood identification with the feminine in order to become real men in the biological sense. It is quite revealing that almost all the examples Ong draws on (to demonstrate how the “adversativeness” of males found deep expression in the literature, religion, sports, science and logic produced by humans) are Western. He admits that the obsession with « polemic, hostility, confrontation tactics, clashes of personalities, competition, games,” is indeed to be found mostly among Europeans from ancient Greek times. I believe the aristocratic culture of the IEs offers an answer. The IEs created a new type of aristocratic society in the sense that “some men,” not just the king, were free to deliberate over major issues affecting the group, as well as free to strive for personal recognition. The material origins of this aristocratic individualist ethos are to be found in the unique pastoral lifestyle of the IEs, their original domestication and riding of horses, their co-invention of wheeled vehicles in the fourth millennium BC, together with the efficient exploitation of the « secondary products » of domestic animals (dairy products, textiles, harnessing), all of which gave IEs a more robust physical anthropology and the most dynamic way of life in their time. This horse-riding lifestyle included fierce competition for grazing rights, constant alertness in the defense of one’s portable wealth, and an expansionist disposition in a world where competing herdsmen were motivated to seek new pastures as well as tempted to take the movable wealth of their neighbors. The life style of IEs fostered a type of man who developed a consciousness of his pursuit of an immaterial end, an awareness of his obsession to be recognized by other conscious males of his ability to be a man in overcoming the biological fear of death for the sake of pure prestige. What Hegel called a « struggle to the death for pure prestige » over and against the most powerful biological drives humans have for self-preservation and comfort, can only make historical sense in relation to the only society in history in which some men lived a lifestyle where such a struggle was seen as the most valued form of male affirmation. The only society in which this struggle for pure prestige was possible was the society of prehistoric IEs, because this was the first, and the only, culture ruled by free aristocrats, in distinction to non-European societies where only one man, the despot, was free, and where members of the upper class were subservient both to the despot and to their gods. To be an aristocrat one had to demonstrate one’s capacity for freedom, one’s ability to differentiate oneself from the others as a particular hero. The master is the male who masters his fear of death and the slave is the male who gives in to this fear for the sake of self-preservation. It is in the risking of one’s life for the sake of recognition by another consciousness that males first exhibit some awareness of themselves as beings who can self-determine their actions and become aware of their subjectivity in distinction to the world around them. The European « I » — most famously associated with Descartes’s announcement « I think, therefore I am » — made its first appearance in the persona of the aristocratic IE warrior. I identify the pre-historic society of aristocratic IEs beginning around 2500 BC, through to the Feudal Middle Ages, as the one society in which this battle for a pure immaterial end could take place. The Iliad, Beowulf, and multiple sagas from Iceland and the Nordic world, are the earliest “barbarian” expressions of the first appearance of individuals becoming conscious of having an inner self apart from the outer world of natural determinations. The pursuit of individual glory produce men with particular personalities, in contradistinction to the faceless collectivities of the non-European world, where there are no heroes except a despot fearful of open competition and always demanding subservience. It is in these heroic tales that we encounter for the first time in history identifiable personalities with names, family ties, and differentiated psychological dispositions. This aristocratic lifestyle left an imprint on the genetics of IEs, selecting personality traits such as greater willingness to take risks and greater capacity to make distinctions between what was « inside » and what was « outside.” Of course, at this point in history, when consciousness only makes its appearance in the decision of the aristocrat to fight for recognition, the subjective side of man manifested itself only in the form of self-assertiveness, through the pride and the haughtiness of free warriors. It would take some time— in the work of Plato — before Europeans would distinctly recognize the faculty of the mind (nous) as a generator of thoughts in distinction to the appetites of the body and the « spirited » part of the soul comprising pride, indignation, and the need for recognition. In Homeric man there is a latent awareness, but still nebulous articulation, of the human personality or an « I » that is not the plaything of irrational or mysterious forces but is capable of some deliberation among alternative choices. Decisions are indeed shaped by the gods, but the Olympian gods « carry the graceful stamp of an aristocratic society [.] when a god associates with a man, he elevates him, and makes him free, strong courageous, certain of himself [.] far removed from the mysteries of chthonic darkness and ecstasy.”In the next archaic period of Greek history, between 650 and 500 BC, we see characters becoming more conscious of their personality, with the rise of the lyric poets, Sappho and Archilochus, in their regular use of phrases expressing « a more precise appreciation of the self, » the « inwardly felt emotions » of the poet. With the tragedians of the next generation, Aeschylus and Sophocles, we witnessed for the first time in history the interpretation of human action in the light of individual choice: « what am I to do? » This process of detachment from the ensemble of external forces and determinations is taken one step further by the characters in Euripides, who ask whether their actions were just in a more realistic setting than the solemn ostentation found in Aeschylus. 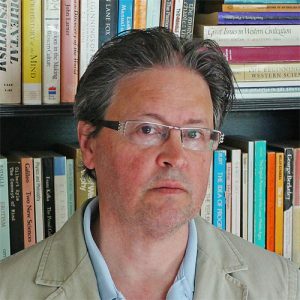 Ricardo Duchesne: There is a two-pronged attempt to force the Enlightenment to meet the needs of the enforced diversification of White nations. One consists in an attempt by multicultural historians to re-interpret the Enlightenment as a world historical phenomenon in which multiple peoples, Africans, Asians, and even Haitians, played a crucial role (hitherto suppressed by White males). The aim is to create a narrative that fits with the idea that all the races of the world, all the ancestors of diverse students in Western university classrooms, played an equal role in the making of modernity. The goal is to strip Whites of any priority in bringing about the major transformations of modern history. The same re-interpretations are being implemented with regards to the Scientific Revolution, the Industrial Revolution, and even the ancient “Greek Miracle.” I have a two part article, “Multicultural Historians and the Assault on Western Civilization and the Defilement of the Historical Profession,” demolishing the scholarly credentials of this malicious academic agenda. The other attack is about persuading students that Enlightenment thinkers were the progenitors of the idea that all White nations must be diversified through mass immigration, as well as the idea that, if Western nations are to be true to their Enlightenment ideals, they must de-link the state from any identification with an ethnic group, but must instead promote the integration of multiple ethnicities from the rest of the world. They want to trick us into believing that a call for peaceful relations among nations amounts to a call for the diversification of White nations, because, apparently, White nations are inherently militaristic, including Norway, Finland, and Denmark, whereas African and Muslim immigrants are carriers of peaceful memes that will “culturally enrich” the otherwise “parochial” Europeans. The truth is that honest reflection based on reason and open inquiry shows that the Enlightenment was exclusively European. The great thinkers of the Enlightenment were aristocratic representatives of their people with a sense of rooted history and lineage. They did not believe (except for a rare few) that all the peoples of the Earth were members of a raceless humanity in equal possession of reason. When they wrote of “mankind,” they meant “European-kind.” When they said that “only a true cosmopolitan can be a good citizen,” they meant that European nationals should enlarge their focus and consider Europe “as a great republic.” When they condemned the slave trade, they meant that this trade was immoral and inconsistent with Christian and Enlightenment ideals. They did not mean that Europe should be Africanized. In fact, Enlightenment thinkers were the first to attempt a scientific conception of human nature structured by racial classifications, culminating in Immanuel Kant’s anthropological justification of his “critical” argument that only European peoples were capable of becoming rational moral legislators of their actions and elevating themselves above the causality of nature and the unreflective customs of tribalist cultures. The point is not whether we agree with Kant or not; it is that Kant (including Herder) can’t be used as a foundational thinker for the promotion of multiculturalism in the West. Although there is a connection between these principles and the current theory of human rights, they are very different. These jurists and Enlightenment thinkers were not calling for the right of non-citizens from different countries to be granted citizenship without regard for the cultural heritage of European natives. Even the theory of human rights, when it was first articulated after WWI, was simply advocating for the humane treatment of all humans across the world. It was not a call for the Western world to open its borders to unlimited numbers of humans in order to create a new mongrelized (“superior”) species. In Canada in Decay I explain at length my view about how the otherwise great ideals of liberalism were manipulated, starting in the post-WW II era, by cultural Marxists. We should not blame Enlightenment ideals but cultural Marxist infiltrators. These infiltrators have been deceitfully using liberal ideals for the eradication of European identities while at the same time celebrating, in multicultural fashion, the illiberal customs and values of non-Europeans. If you ask Hegelian scholars in a straightforward way whether the Phenomenology is really about the cognitive experience of European peoples, they would agree. Many Hegelian scholars also believe that Hegel’s philosophy recounts the development of self-consciousness, and that Hegel’s philosophy does indeed demonstrate that humans became self-conscious of the character of their own thoughts only in post-Enlightenment times. However, if you then ask these scholars whether this means that only Europeans had achieved self-consciousness, they will immediately find ways to insist that Hegel’s philosophy should not be read as an account of the European spirit. But since it is obvious that it is, they will have no choice but to conclude that, insofar as it is, it is Eurocentric and therefore a flawed philosophical account. I am actually noticing more and more admirers of Hegel (see, for example, Terry Pinkard’s Does History Make Sense? Hegel on the Historical Shapes of Justice, 2017), emphasizing the limitations of Hegel’s philosophy due to his “Eurocentrism,” condemning his observations about the lack of self-consciousness among non-Europeans. I believe that we should speak, firstly, of the master-master dialectic, and that this dialectic can be said to encapsulate the first society in history in which men were free to fight for self-chosen aims—for pure prestige above their mere animalistic needs, and as a struggle in which we witness the “first appearance of self-consciousness.” In a despotic society where “one man is free,” there could be no master-master dialectic; and the master who subdues the slavish man who caves in to his fear of death would not feel satisfied with the recognition he wins from this slave. But in a society of aristocratic masters we can have a situation in which aristocrats struggling for superior prestige feel truly validated when aristocratic peers acknowledge his heroic deeds. The attitude of the individual who risks his life for prestige is that of “being-for-self” or self-assertiveness. The historical reference for this attitude could only have been a society made up of aristocrats who were in a state of free willfulness wherein it was possible for individuals to fight for purely human aims, for prestige and heroic renown. The entire IE aristocratic way of life had a profound effect on the constitution of the human personality, selecting traits that pointed towards the awakening of human “inwardness” in contradistinction to what is not humanly self-chosen, but given by nature. Grégoire Canlorbe: You do not hesitate to challenge the Alt-Right’s animus against Protestantism, which has been commonly perceived as a puritanical and factitious spirituality; and as the expression of a plebeian resentment against juridical-social inequalities and chivalrous feelings which are linked to any noblesse worthy of the name. In view of the founding texts of Protestantism, and in view of the type of society given birth to by its historical development (in America and other countries), how do you assess this line of criticism? I am not going to get into the exhausting literature about the “strong” and the “weak” interpretations regarding the influence of Protestantism to the rise of modern science, except to say there was a relationship. Easy talk about how Protestantism was responsible for secularism, social levelling, rise of bourgeois values, and eventual erosion of European identity, needs to take into account the positive historical role of this side of Christianity. My main point in that essay on Protestantism and the Alt Right, was, if I may paraphrase here, that the importance of Weber’s thesis goes well beyond his effort to connect the development of rational capitalism with the Calvinist doctrine of predestination. We can read his argument to mean that only Western men, among all religious believers in history, promoted a « this-worldly » religion, which introduced a drive to mastery in worldly affairs by means of a systematic ordering of every aspect of one’s life, starting with self-mastery over « everything impulsive and irrational, the passions and the subjective interests of the natural man. » While Eastern religious men were contemplative in orientation, preoccupied with transcending worldly affairs, or reaching a harmonious coexistence with the world as it was, the Protestant sects of Calvinism, Methodism, Pietism, and Baptism called upon believers to gain mastery of this world through the « deliberate regulation of one’s life, » disciplined and methodical work, rather than to find salvation out of this world. Weber was right that the incredible success of Europeans in the modern era was made possible by a type of personality no longer interested in the « undisciplined » acquisition of wealth « without reserve and as an uncontrolled impulse. » The aim of the Protestant way of life was to produce a new type of character able « to bring order into the conduct » of his life, « a cool self-control and frugality, » to achieve the highest return for each hour. It was only by making their Faustian restlessness « thoroughly rationalized, » freed « from the power of irrational impulses, » that European men came to master the world in the nineteenth century as never before. To be sure, the incredible success of Europeans brought them unparalleled affluence and easy comfort after World War II, coupled with the evaporation of any notion of a « calling. » The capitalism of frugality and savings came to be replaced by a new form of Keynesian capitalism driven by effective demand, consumerism and welfare spending. It seems impossible now to resurrect the Calvinistic ethos Weber so admired. But if we can find a way to think of this ethos without the religious beliefs accompanying it, we may be able to extract some eternally valid precepts for the restoration of European greatness.